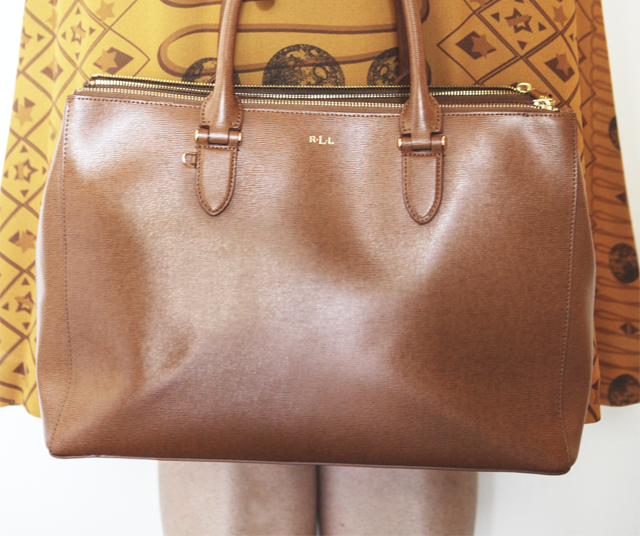 There's one tote that I'm head over heels in love with at the moment and it should come as no surprise that it's from Ralph Lauren, well Lauren by Ralph Lauren to be exact. 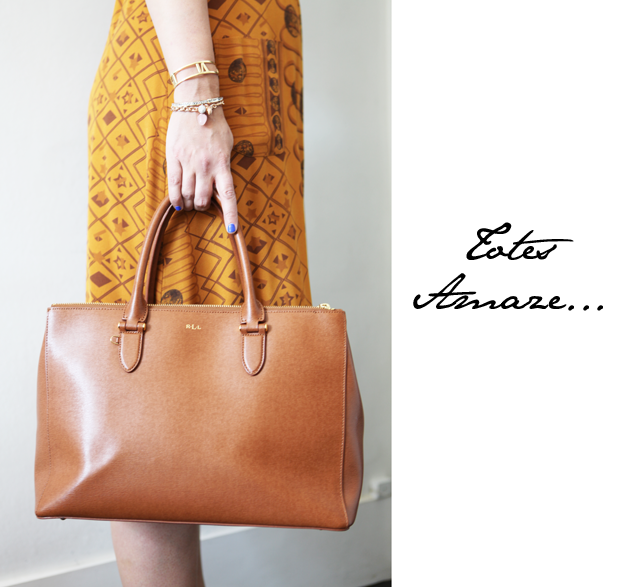 I'm speaking of the Large Newbury Tote in tan leather. The popular double zip tote construction, which is being used by so many brands at the moment, has been taken on board by the RL team and they've created a bag that's roomie, classic and in a leather that is, in my opinion, indestructible. All this in a bag that's well under the $500 mark. Honestly, what's not to love?